Every day, millions of people are taking medications that will not help them. The top ten highest-grossing drugs in the United States help between 1 in 25 and 1 in 4 of the people who take them. For some drugs, such as statins — routinely used to lower cholesterol — as few as 1 in 50 may benefit. There are even drugs that are harmful to certain ethnic groups because of the bias towards white Western participants in classical clinical trials. 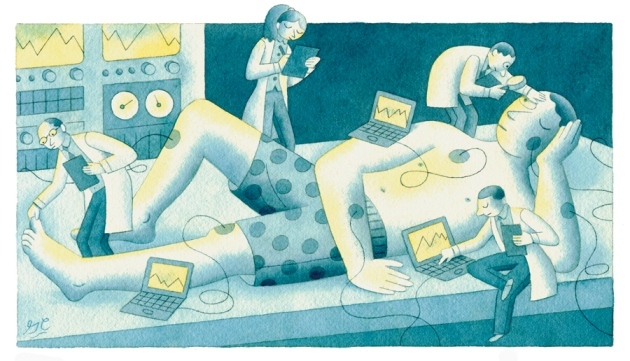 Classical clinical trials harvest a handful of measurements from thousands of people. Precision medicine requires different ways of testing interventions. Researchers need to probe the myriad factors — genetic and environmental, among others — that shape a person’s response to a particular treatment. Studies that focus on a single person — known as N-of-1 trials — will be a crucial part of the mix. Physicians have long done these in an ad hoc way. For instance, a doctor may prescribe one drug for hypertension and monitor its effect on a person’s blood pressure before trying a different one. But few clinicians or researchers have formalized this approach into well-designed trials — usually just a handful of measurements are taken, and only during treatment.